This week we’re talking about fights for public ownership of the internet in the United States, seeds in Japan, housing in Berlin and much more. Internet for All: 750 municipalities in the United States have already created their own internet service according to NEC Member Institute for Local Self Reliance. What would it take to do more? As the country chatters about breaking up tech giants, read about the potential for internet as a public utility. Don’t Tell Me About Your Priorities, Show Me Your Budget: Trump may still be hiding his tax returns, but the proposed Federal Budget is out for all to see -- and it’s not pretty. NEC Members Institute for Policy Studies and the National Priorities Project weigh in. Go Home to Your ‘Dying’ Hometown: If injustice anywhere is a threat to justice anywhere, what does it mean to leave the place you grew up and take your justice seeking elsewhere? With unprecedented numbers streaming to urban hubs, Michele Alexander went home to rural Minnesota and found herself more involved in social and racial justice, economic development and feminism than ever before. Read the New York Times homecoming piece from the Program Director of NEC Member Springboard for the Arts. 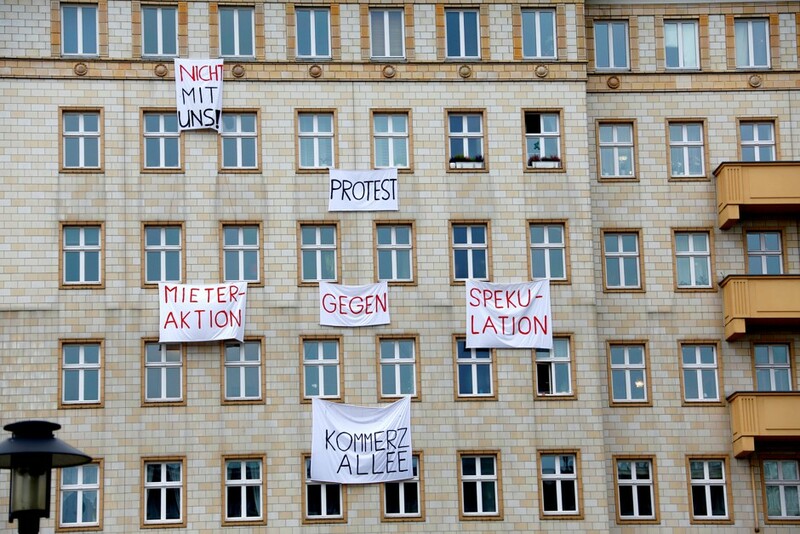 Berlin Builds the Foundation of a Housing Revolution: With 85% of its housing stock rented by tenants, Berlin’s increasing affordability crisis has sparked a total rehaul of how housing is managed. CityLab has the breakdown from rights of first refusal to a spike in publicly owned units. Saving Japan’s seed heritage from “free trade”: Masahiko Yamada, Japan’s former Minister of Agriculture, talks about how the privatization of the very seeds that grow the food we eat leaves the public benefit of food in peril in Japan and worldwide. See what NEC Member Local Futures learned about Japan's strategies to combat concentrated ownership of seeds. 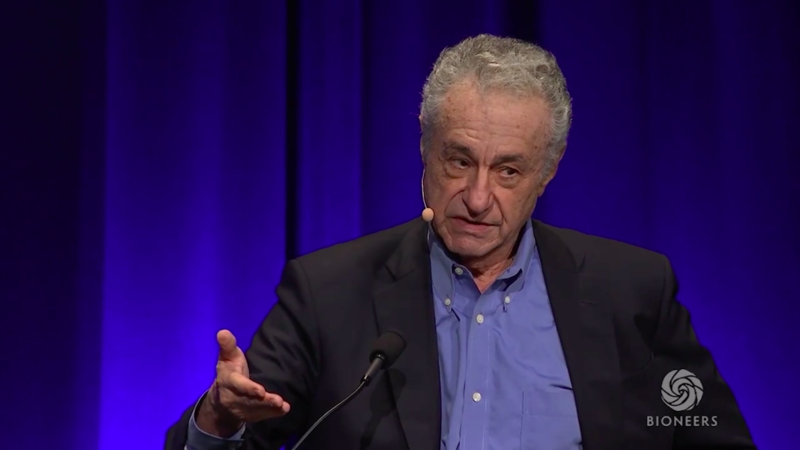 In a speech at the Bioneers Conference, Gar Alperovitz, co-founder of NEC Member The Democracy Collaborative and co-chair of its The Next System Project, shows how we can begin to build together for the systemic change we need to save both democracy and the planet. Check out the full speech here. Each year, Grist assembles a list of 50 leaders, “cooking up the boldest, most innovative solutions you haven’t yet heard of to fix the biggest challenges that face our globe.” We’re proud to say that three, count ‘em T-H-R-E-E grace the staffs of NEC Member Organizations with their work. Congratulations to Adrien Salazar - Campaign Strategist for Climate Equity of Demos; Nsombi A. Lambright - Executive Director of One Voice; and Akilah Sanders-Reed - Oil Free Organizer for Power Shift Network. 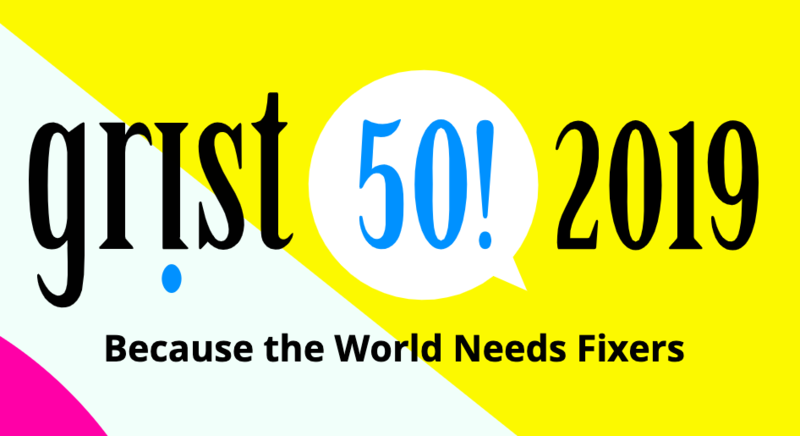 Read more about our NEC representatives and other inspiring leaders on the Grist 50! 2019 list! Local Futures Video Series Completed Throughout early 2019, NEC Member Local Futures has been sharing short films that feature local food and farming projects around the world — with a particular focus on projects started by young people. Eating local food is a powerful solution-multiplier — it reduces our carbon footprint, pollution and waste, while creating dignified livelihood opportunities, strengthening communities and local economies and strengthening our bodies with healthy fresh food in the process. The last part of the seven-week series was just released this week. Check out the wealth of local food stories here. Podcast: People Love Local Food. Yet Local Farmers are Disappearing. What’s Going On? 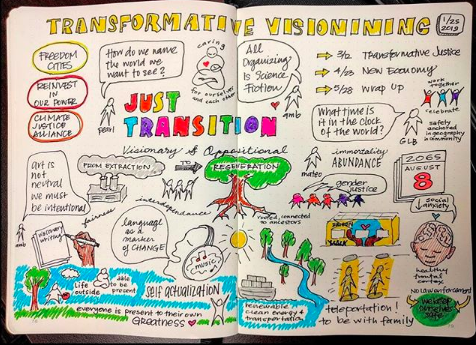 Follow NEC on Instagram - @NewEconomyCoalition - where we’re lifting up the events and systems visioning that our members are carrying out in powerful and creative ways. This two day statewide convening will focus on the advancement of a worker ownership movement as well as the broader solidarity economy in Massachusetts. More than 500 CEOs and other business leaders will gather to discuss the core challenges and understand the latest technologies that are shaping the future of responsible business. Hammad Atassi, CEO of NEC Member organization American Sustainable Business Council (ASBC) will be a featured speaker. In this interactive webinar hosted by Roundsky Solutions, dive into a framework to analyze the power (both harmful or generative) dynamics in your team using an organizational tool: The Power Matrix. They’ll share their organizational analysis of power, discuss how power affects every facet of our work lives, and most importantly you’ll get tips you can use everyday to use collaborative power generatively through shifting power in your communications, meetings, agreements, and more! From conceptual metaphor theory to framing semantics, participants will practice critical examination of language – their own and others’ – towards effectively reframing the issues of our day. You’ll leave with a clear set of skills and analytic tools to further your campaigns, as well as valuable connections to practitioners around the globe who are themselves resources for better messaging, campaigning and narrative development. This People’s Hub participatory, popular education series on Monday nights in partnership with NEC Member the Highlander Center will help participants understand the fundamental forces of the current economic and governance systems, envision a democratic, just, and sustainable future, and strategize toward building the new solidarity economy we all deserve. This series provides an introduction to Highlander’s Mapping Our Futures and is designed for community groups to build analysis and strategy and we hope that people can take this home and share these processes locally. Join Post Carbon Institute for a lively, web-based conversation with three remarkable agents of change: Tim DeChristopher, who risked his freedom to oppose fossil fuel extraction on public lands; Nick Tilsen, who is creating a regenerative, sustainable future for his community on the Oglala Lakota Native American reservation; and Sarah Peters, an environmental engineer who won public office on a climate change platform. Created by by NEC Member the L.A. Co-op Lab in collaboration with CD Tech @ Trade Tech College this workshop will prepare you to start conceptualizing developing a worker cooperative exploring topics of democratic governance and how to build a team that can create a democratic business in addition to learning about their summer intensive. While working together in groups can be fun and exciting, it's not always easy. How can we collaborate with each other without replicating oppressive hierarchical structures or getting too bogged-down in group process? Specifically designed for those working together towards social change, this dynamic, participatory training will provide you with everything you need to build organizational capacity and skillfully navigate the inevitable ups and downs of group life. This conference will bring together leading academics, researchers, advocates, and practitioners for a day of discussion on how we can achieve systemic transformation and make a political economy that is equitable, democratic, and sustainable. PGM ONE convenes emerging and established professionals of color/the global majority who work in the environmental and outdoor movement to share, learn, collaborate, heal, celebrate, build community, find support, and sharpen their analysis of racial equity in their fields. PGM ONE is a project of NEC Member, Earth Island Institute. For 10 years, the Social Enterprise Council of Canada has been bringing community developers, social entrepreneurs, and policy makers together to envision how these businesses can solve our biggest problems. Join NEC Member, the Canadian Community Economic Development Network (CCEDNet) to learn together, celebrate incredible progress, and set the stage for the next decade of social impact. Learn how living in community can be healthier by combating loneliness. Whether you’re just starting to explore living in co-housing or have been for decades, this conference offers something for you. Courtney Martin author of The New Better Off: Reinventing the American Dream explores how people are redefining the American dream (think more fulfillment, community, and fun, less debt, status, and stuff).